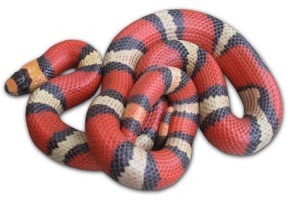 The most popular large milksnake in the hobby. Due to a significant amount of color and pattern variability, selective breeding will continue to expand the possibilities of producing currently unseen morphs. These snakes can get up to six feet long. The intensity of colors has to be seen to be believed. This is the easiest of the albino tricolors to get to breeding size in 18 months - and the most likely to double clutch. 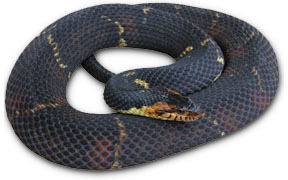 Increased availability and lower prices insure that this snake will become a staple in colubrid collections. These are the most popular snakes in herptoculture, and with good reason. 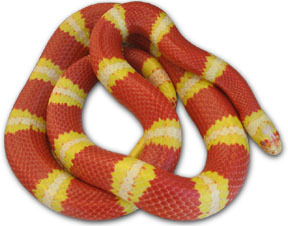 Corn snakes are moderately sized, tame and inexpensive. They are also beautiful and hardy pets available in an array of different colors and patterns. 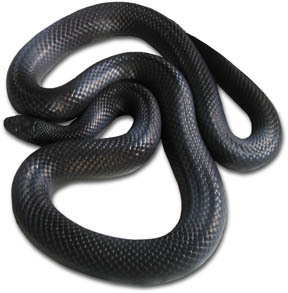 An all-black snake, this is one of my favorites. 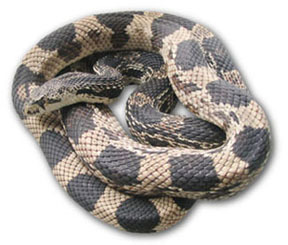 It is less nervous and more easily handleable than other subspecies of common king snakes. They make excellent pets. These big snakes typically get 6-7 feet in length and are heavily built. 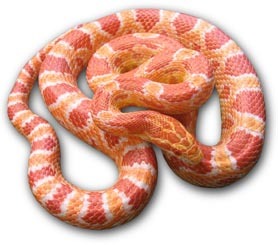 Pine snakes and bull snakes are often the "next step" for people who keep corn snakes and kingsnakes. No one can accuse these snakes of not having personality! 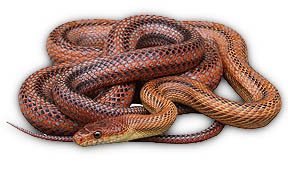 Larger in size and with more "attitude" than their relatives the corn snakes, rat snakes are a good choice for individuals who have had some snake keeping experience and want to try something a little different. These heavy-bodied serpents add an interesting element to the hobby. I feed mine a diet of 50% fish and 50% frozen-thawed rodents. 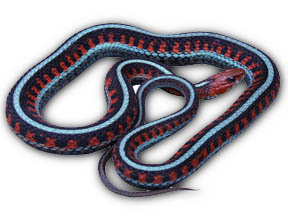 They do well when set up like other colubrids like Corn Snakes and King Snakes. These snakes start off eating fish, but eventually can be switched to rodents. They are quite colorful and do great in naturalistic terrariums. I work with three different species.